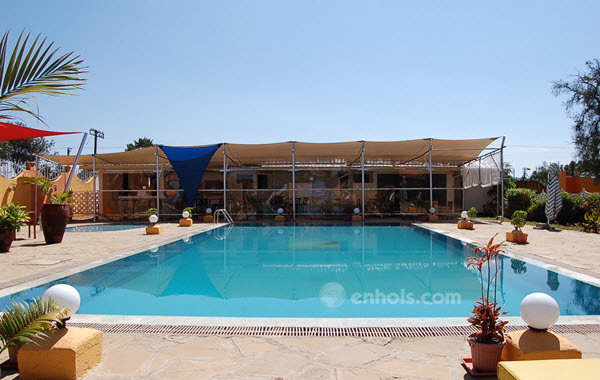 Nanyuki has a variety of hotels within and outside the town. 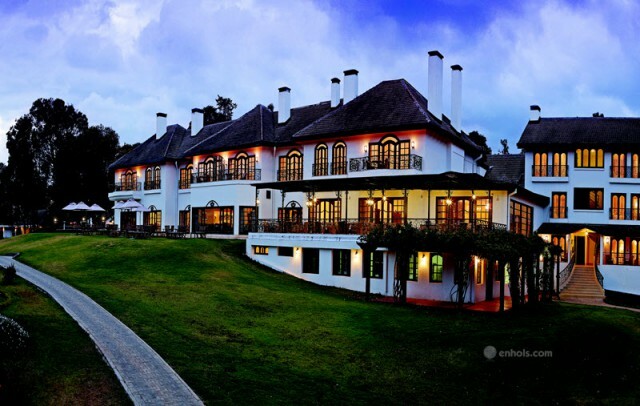 Hotels in Nanyuki town such as Sportsmans Arms and Kilimara Springs offer quality but convenient and affordable accommodation for people who are passing through Nanyuki town. They are also used as bases for tourists travelling the Laikipia circuit. Slightly outside town is the 5 star Mt. 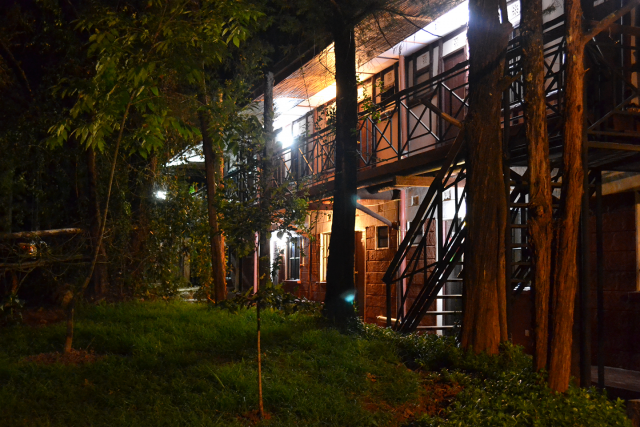 Kenya Safari Club that is a destination in itself and the newly built Falcon Heights hotel. 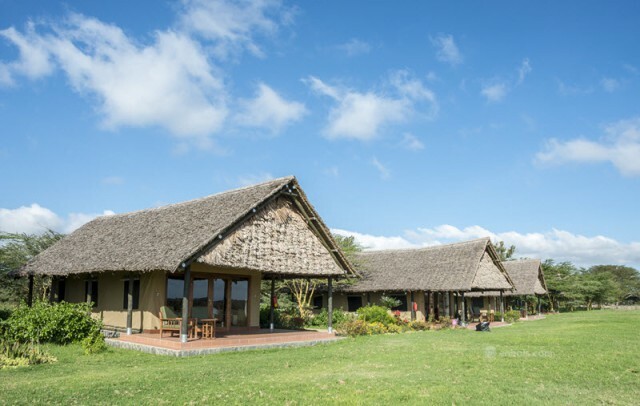 There are also many luxurious lodges located in private ranches and conservancies all around Laikipa, such as Lewa, Ol Pajeta and Loisaba. Several budget camp sites such as Kongoni are also available. There are a variety of camps in the Nanyuki / Laikipia area, most located inside the private wildlife conservancies and ranches. The camps are luxurious, complete with ensuite bathrooms, hot and cold water, flushing toilets etc. The price range is also mid to high range to match the excellent services provided. The tents will have private verandas where guests can view animals / watering holes in privacy. 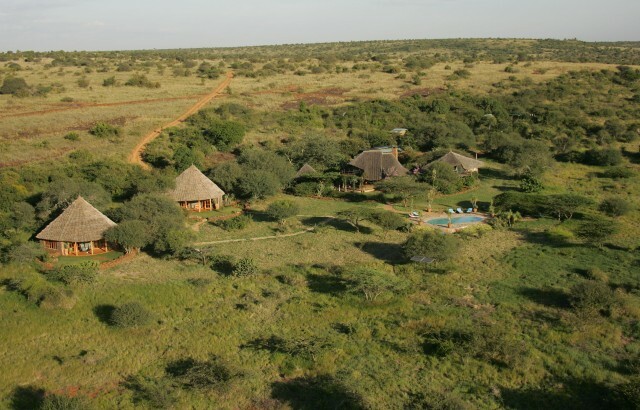 Guests can indulge in game drives, hiking, swimming, bird watching, horse riding and many other activities. Nanyuki has seen a growth in private wildlife conservancies, such as Lewa and Ol Pajeta, and also private ranches such as Borana and Il Ngwesi. 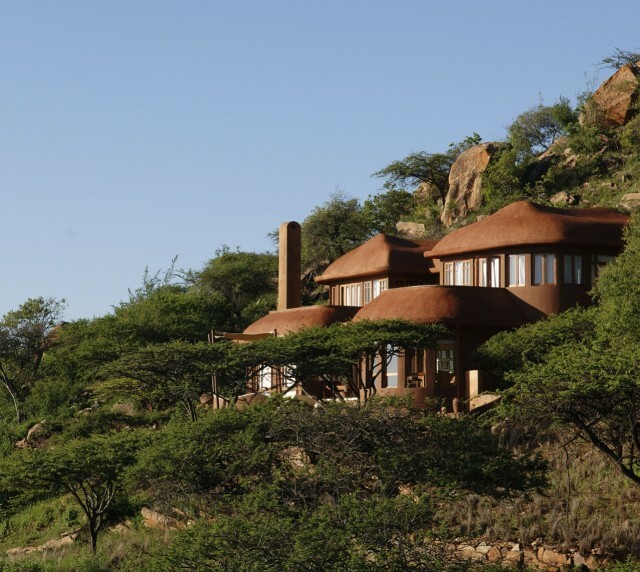 To cater for the tourists visiting the area the conservancies also have lodges for accommodation. The lodges in Nanyuki & Laikipia usually have ensuite rooms, cozy sitting and dining rooms and other amenities such as swimming pools. The pricing in most of these lodges is luxurious, and guests can expect to be pampered. 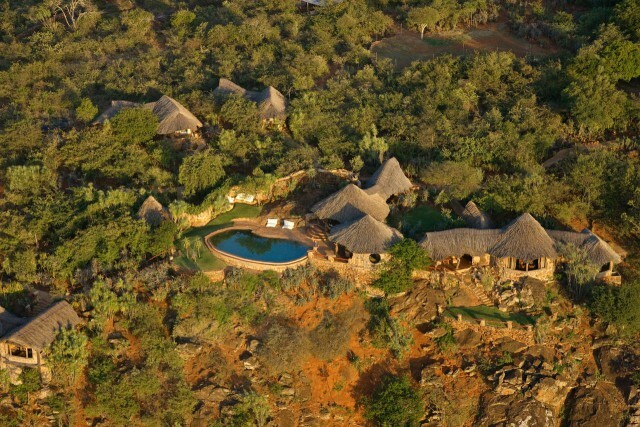 Activities here will center on game drives, hiking, fishing, bush dinners etc. 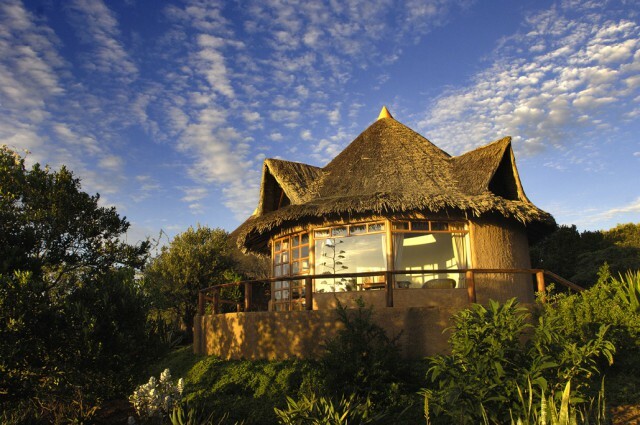 Examples of such lodges include Il Ngwesi Lodge, Borana Ranch & Lodge and Loisaba Lodge. 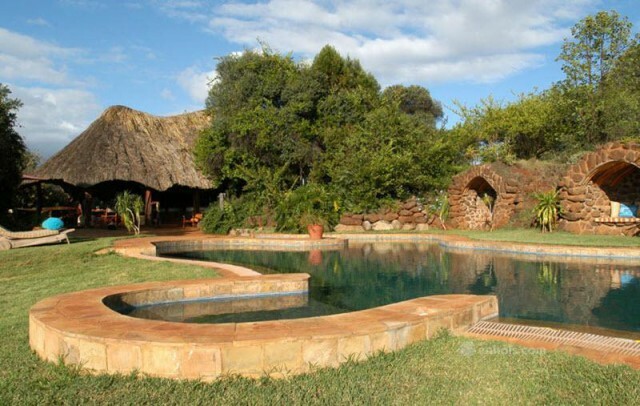 Along with other forms of accommodation such as lodges and camps, Nanyuki also has a variety of houses and cottages offering mostly self catering options to guests. The houses are fully furnished, and will usually have 3-4 bedrooms, along with a living room, kitchen and laundry. The rates for such houses vary depending on the size of the house and the amenities in it, that is, the more basic the house the lower the rates, and the more sophisticated the higher the rates. 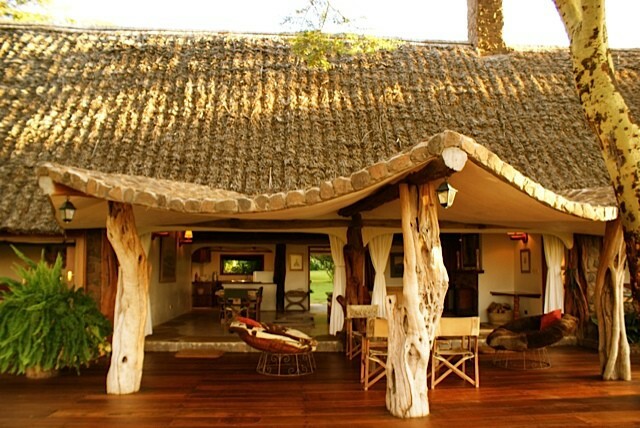 Examples of houses and cottages include Mukima House, Ol Pejeta House, Rutundu Log Cabins and Colobus Cottages. Results 1 - 12 of 45 for "Accommodation in Nanyuki"
Nanyuki is the Capital of Laikipia County and gets its name from the Masai phrase “Engare Nayuikie” which means “The River of Blood”. Nanyuki connects Mt. Kenya in the south east and the great rift valley in the west, and is also known as “Kenya’s High Country” since it lies along the equator at 1947m above sea level. Nanyuki has grown tremendously since the colonial days and is now a center for farms, ranches, game parks and conservancies. It is also the main base for the Kenya Air Force and also a training area for the British Army. With this kind of growth has been the sprout of different tourist attractions and accommodation options ranging from hotels, camps, lodges and ranch houses. The Ol Pajeta Conservancy is a 90,000 acre private conservancy located between the foothills of the Aberdares and Mt. Kenya, a three hour drive from Nairobi and 14KM before Nanyuki town. The Ol Pajeta is home to all the big five and also boasts the largest black rhino sanctuary in the country. The Lewa Conservancy is spread over 55,000acres, 65KM North of Nanyuki. Lewa dedicates itself to the conservation of the black rhino. Also in residence are 55 white rhinos. Other activities to be done at Lewa include game drives, bush walks, bird watching, sundowners, educational tours and bush meals. Others are the Sweetwaters Game Reserve, Solio Ranch, Aberdare National Park, Mt. Kenya National Park and the Samburu National Park.